In Argentina, bamboo does not play a dominant role in forestry. As in the majority of South American countries, bamboo exploitation is generally confined to the local use of native species in areas close to the source of supply. This small flat country is the only one in Central America without any Chusquea species. Belize, however, is well known for the Guadua longifolia populations along the Belize river and its tributaries on the Yucatan Peninsula. In Bolivia, bamboo has been used by Andean communities in traditional production of musical instruments and baskets, and as cattle forage. An estimate of the area of bamboo forest in the highlands or lowland regions of this country does not yet exist. 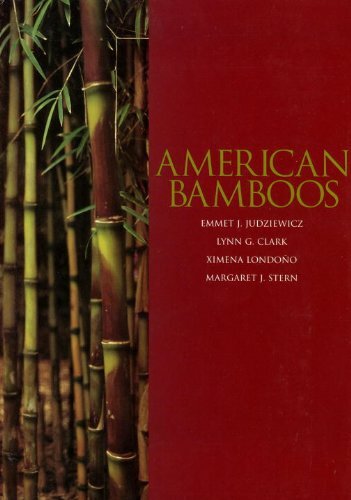 Brazil is the country with the greatest bamboo diversity and the highest percentage of endemic woody bamboos in Latin America -- 137 species (32% of Latin American bamboo species) and 17 genera (85% of Latin American bamboo genera). The states of Sao Paulo, Minas Gerais, Santa Catarina, Bahia and Parana have the greatest diversity of woody bamboos. The native bamboo species in the Caribbean and West Indies are confined to small-sized bamboos less than 1 cm in diameter. Because of this, they do not have any economic value. However, Asiatic species have entered conspicuously into the local economy on some islands. In Chile, bamboo is rarely used as an economic plant, but has some influence on the dynamics and composition of the Chilean Andes forest. Colombia has the second highest woody bamboo diversity in Latin America. At present, 9 genera and 70 species are reported, with 24 species being endemic and at least 12 species remaining to be described. Costa Rica is the country with the largest woody bamboo diversity in Central America. At present, 8 genera and 39 species of woody bamboos are reported. Ecuador, for its size, possesses an impressive diversity of woody bamboos. Up to the present, 6 genera and 42 species have been identified (11 endemics ones), with about 15 species remaining to be described.